The annual Opensource.com gift guide serves up open source gadgets and gifts that kids, adults, hobbiests, and beginners are sure to love and appreciate. Get someone started tinkering with SparkFun's WeevilEye beginner soldering kit. Show your niece how cool programming can be with Adafruit's wearable bracelet. And, don't we all have at least one homebrewer in our lives? For them, check out the BrewPi temperature controller. And that's just to name a few! See the full list of our 14 best gifts for the holidays this year in the article. Print out some awesome stuff with the Lulzbot TAZ 4 3D printer! This 3D printer was named the "Most Maker Machine" in Make: Magazine's "Ultimate Guide to 3D Printing 2015" and has the Free Software Foundation's Respects Your Freedom certification and is fully compliant with the Open Source Hardware Association's definition of open hardware. Legit! That also empowers you to download and print upgrades and replacement parts for the 3D printer. You can even print two different colors, or two different materials, at once. Firefox OS for mobile runs as the backbone of the Alcatel One Touch Fire and the ZTE Open smartphone. They are the first of their kind based entirely on open web standards. Emily Price for Mashable tells us, "That means everything on the phone is running in a web browser… Mozilla is not going after the type of customers who are obsessed with the screen size and type or processing power of their device. It's targeting customers who just need to communicate with the world around them, and it's giving them a much more feature-rich way to do so." Kano is a computer kit, and once built, it teaches you to code. It’s creators—young people and educators from across the globe—hope to engage people in creating technology not just consuming it. "Children as young as eight have used it to make games, choreograph music, animate characters, and much more." The Kano website's interactive design does a steller job of explaining just what the kit consists of, as does their 1:55 minute video of a kid putting it all together. Oh, and here's their code on GitHub and their blog of endless Raspberry Pi-and-Kano-inspired projects from events they hold in the community. 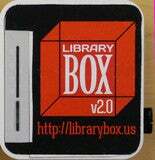 LibraryBox brings digital information to people off the grid by delivering files that are stored on a USB drive. That's right. You've always wanted to fly! 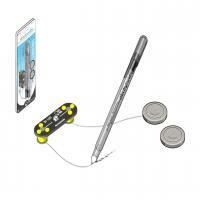 And now flight is within reach with open source hardware kits. 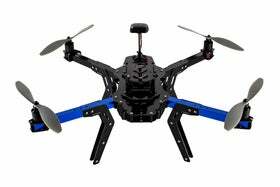 Quadcopters and other flyables are fun to build and fly, and make a great family project. Kits vary widely in both price and skill level required, but once you get started you'll find many of the parts may be interchangeable. Expect to spend about $500 for a basic kit like this one, but there are many more options for increased flight time, greater range, bigger payloads, and more if you're willing to drop a little bit more. And of course, if you just want a simple remote-controlled toy version with no assembly required, low-cost alternatives are available at many retailers. But where's the fun in that? Originating from a successful Kickstarter, CircuitScribe is a ball pen that writes conductive ink, allowing you to design circuits on paper by literally just drawing the connections between components. Rather than using messy solder or hard-to-wrangle wires to lay out an idea, the ease-of-use of a pen means that circuit design is accessible to almost anyone. A simple kit which includes some basic components starts at around $25.00, but you can add more to it if you like. Convert your fridge or freezer into an awesome fermentation chamber with BrewPi. Its an open source fermentation temperature controller for brewing beer or wine that runs on Raspberry Pi and Arduino. It includes features like data logging, a web interface, and graphs. BrewPi has an active open source community and was featured in our 7 favorite Raspberry Pi projects earlier this year. Don't forget about the accessories! Like, the BrewPi Arduino shield, temperature sensors, and other casings. Available to order from The BrewPi Shop. Give the gift of music membership with Magnatune. Whether you're on your Android, iPhone/iPad, or just a mobile website, you gain access to over 1,500 hand-picked albums. Music from Magnatune is DRM-free (no copy protection), so you can do what you like with your music. The MP3s play everywhere, like iPods and every other portable device that supports MP3s. Besides MP3s, Magnatune offers all audio in open source formats such as FLAC, OGG, and OPUS. And here's a bonus, they financially support several open source projects such as Amarok and Rhythmbox. The WeevilEye is a through-hole soldering kit designed for beginners. It has a low parts count so even young kids can easily complete it. Once assembled, the red LED "eyes" light up brighter or darker according to how much light is getting to the photosensor. This kit comes with all of the parts you need to build your own WeevilEye as well as an instructional kit card that will guide you through the assembly process. You will need a soldering iron and some solder. The Dazzu is an easy but inspiring introduction to wearable electronics. No tools or soldering required! The Dazzu board is a flexible, programmable board, with 3 LEDs—add a little twinkle to your project. It includes built-in light and temperature sensors, and you can attach other sensors for sound, proximity, and motion sensing. There are many different projects you can make with the Dazzy board, like the wristband in the photo. What can you do with a Raspberry Pi? Just about anything. Your imagination is your only limit! Raspberry Pi comes in a couple of "flavors" with the B packing slightly more oomph and features. The B recently got an upgrade to become the "B+" with more memory and a few new connections, and now it's the A's turn, with the release of the A+. So why get the A+ instead of a B+? In short, it's crazy-cheap and you can build a Linux-powered computer project for twenty bucks. It also consumes less power than its slightly more powerful big sister and comes in an astoundingly tiny footprint. I think a subscription to MAKE magazine would be a pretty good idea. And tickets to an upcoming Maker Faire. :) Worth every single penny.